Selling military related antiques and collectibles from the American Revolutionary War, the Civil War, WWI, WWII, the Korean War and the Vietnam War. We include militaria from the US, Germany, Japan, Russia, Italy, Great Britain, France, Canada and Australia. We also sell current surplus militaria. Welcome to Hildenbrand Militaria. My name is Ray Hildenbrand Jr. and I have been a dealer/collector for over 20 years. I am a US Army Infantry Veteran who served in Iraq from 2004-2005 during OIF II/III. 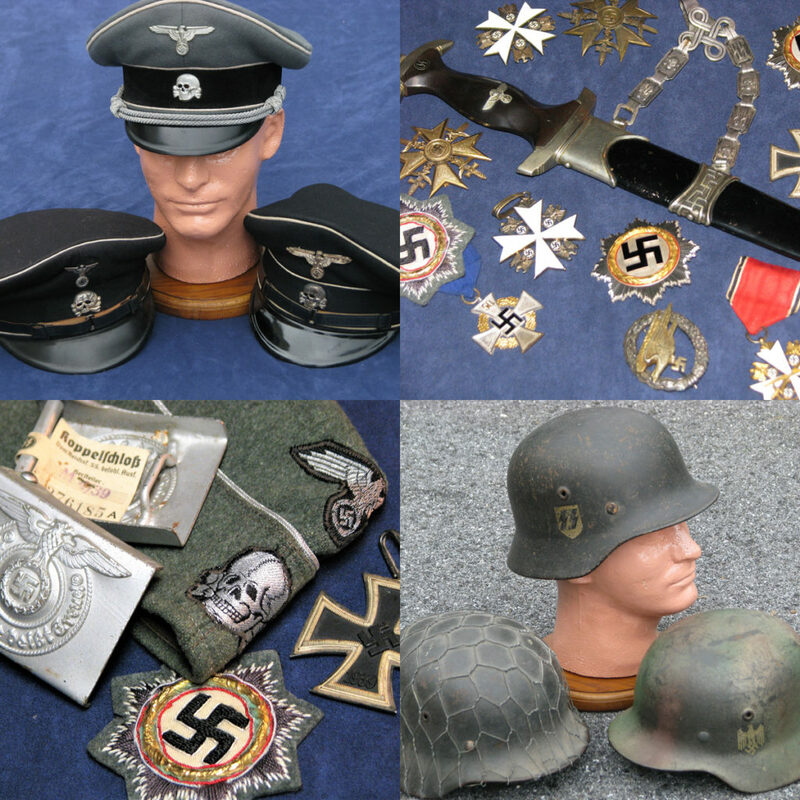 I am a power seller on E bay for over a decade with the seller name hildenbrandmilitaria. You can find us at the MAX show, the Show of Shows and Forks of the Delaware Allentown shows. We are interested in buying items from Veteran’s families, collectors and dealers. Please contact us at 570-765-2700 or 800-446-2107. You can also reach me with my Contact Form and you will receive a timely response. All items for sale are 100% authentic with a lifetime guarantee for originality. All items are sold as artifacts for historical / collecting purposes. Hildenbrandmilitaria does not endorse or associate with any hateful or discriminatory groups. © 2019 Ray Hildenbrand. All Rights Reserved.